Nothing says achievement more than these elegant pins! 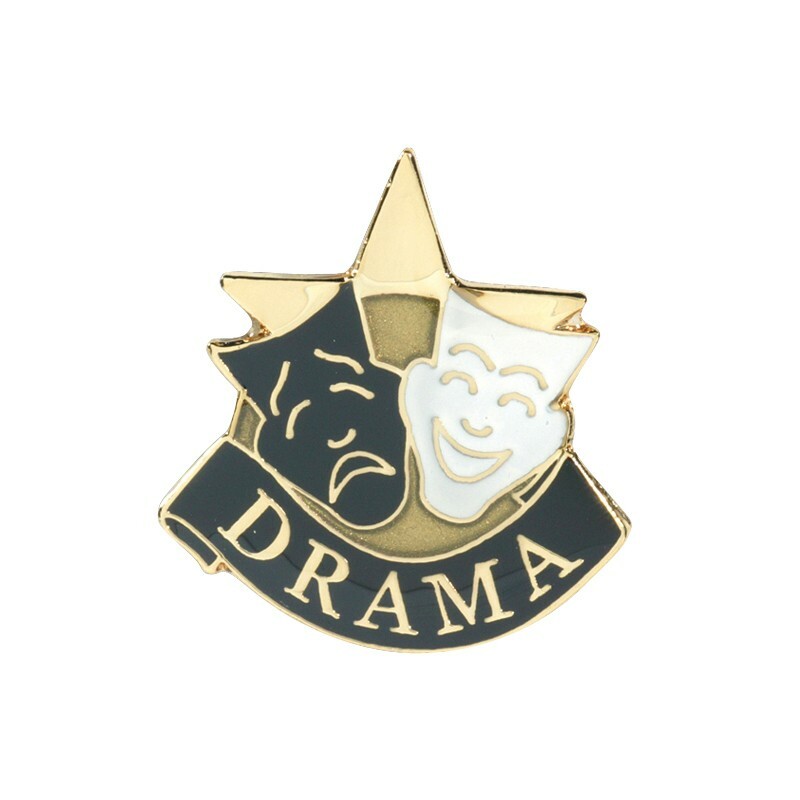 Hand over a Drama Achievement Lapel Pin to your star. This dramatically-detailed pin has a beautiful gold, black and white finish. The pins are just the right size for a lapel, duffle bag or letter jacket, and come in a transparent presentation box. Production time for this product is 1 business day(s); expected pickup or shipping date is 04-25-2019. If you are a professional graphics designer and would like a template or dimensions for a particular item, please email [email protected]phies2go.com with your request. Please include the product number(s) and any other pertinent information.